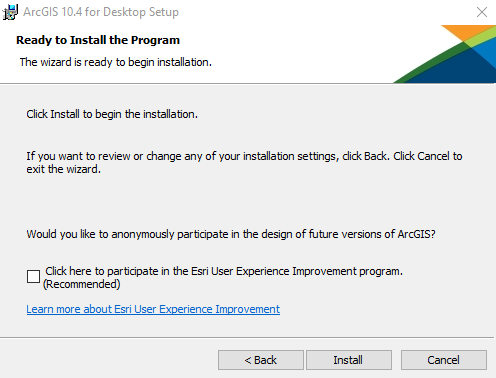 After downloading the ArcGIS installer, right-click on the ArcGIS_Desktop installer file icon and select Run as administrator. 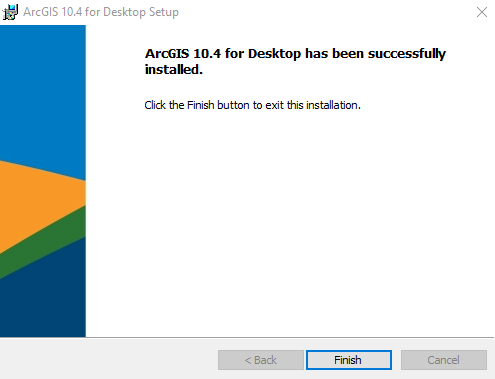 The installer will unpack an archive of intermediate files into a temporary location. 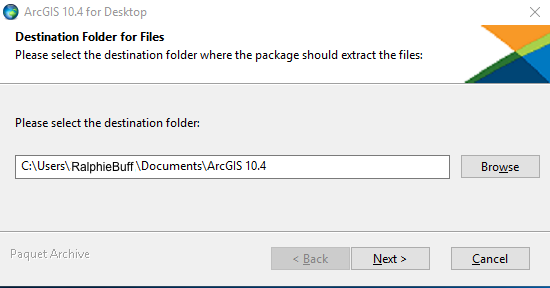 The program unpacks the files into the Documents folder by default, but you can choose another location by clicking Browse. 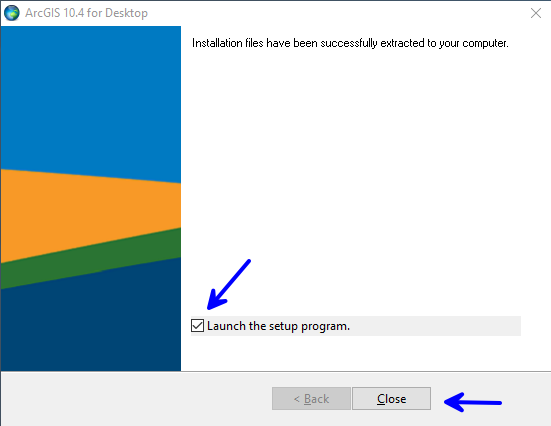 When installation is complete, you may remove the intermediate files manually. When extraction is complete, ensure that Launch setup is checked before closing the window. When the welcome window opens, click Next. 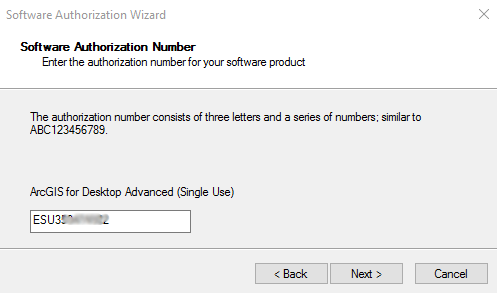 Select I accept the license agreement, then click Next. 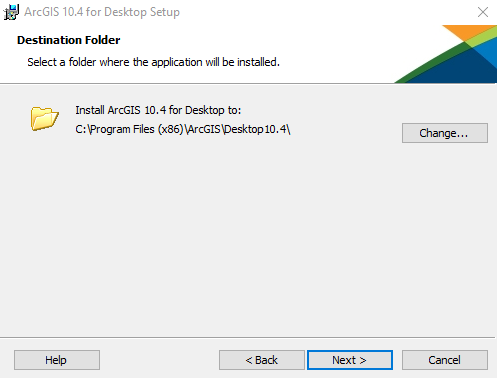 Under Installation Type, select Complete and click Next. 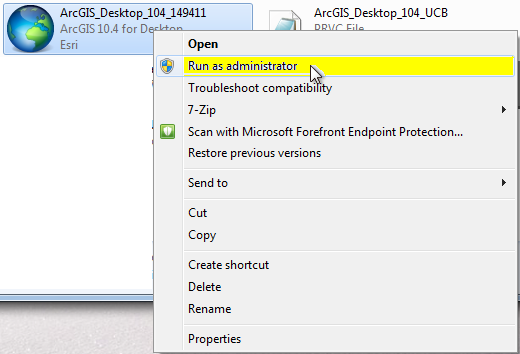 Note the final location of ArcGIS in your C:\ Program files. Click Next. 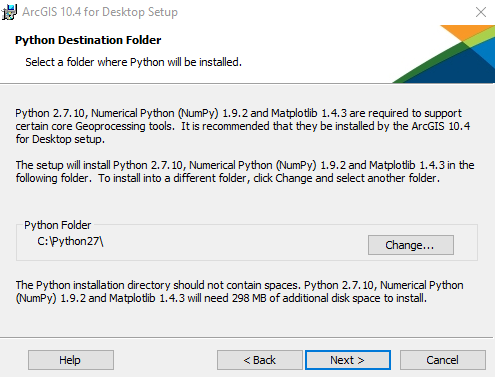 Leave the Python folder unchanged, and click Next. Click Finish. 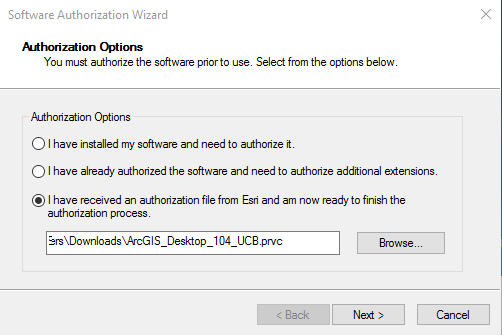 If selected earlier, the licensing wizard will follow immediately; otherwise, find and run the ArcGIS Administrator in the program. 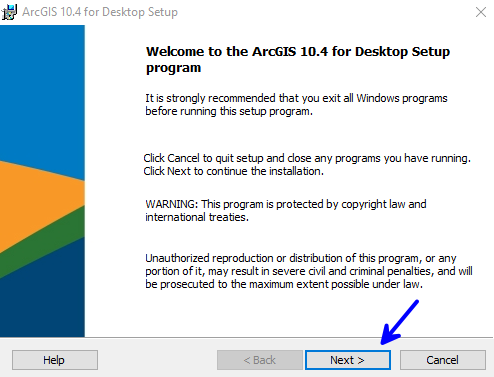 Under ArcGIS for Desktop, choose Advanced (ArcInfo) Single Use if yours is a standalone workstation, and you have the ".prvc" provisioning file ready to use. 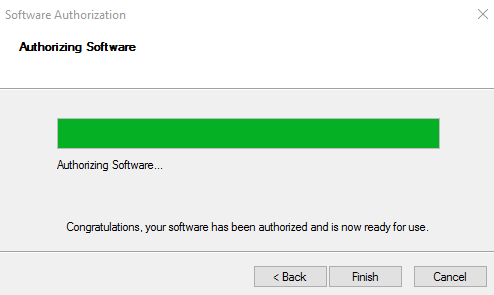 Then click Authorize Now. 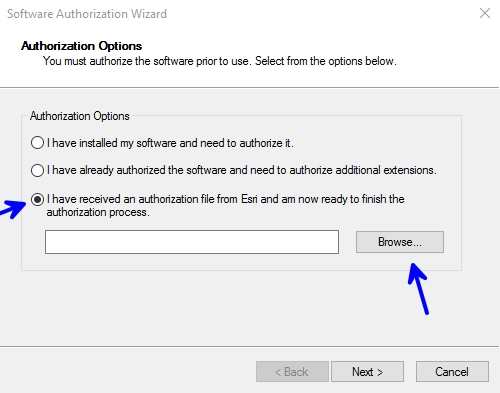 Select I have received an authorization file... then click the Browse button to find the provisioning file that you downloaded. The provisioning file is named with the ".prvc" suffix and may be in your Downloads folder. 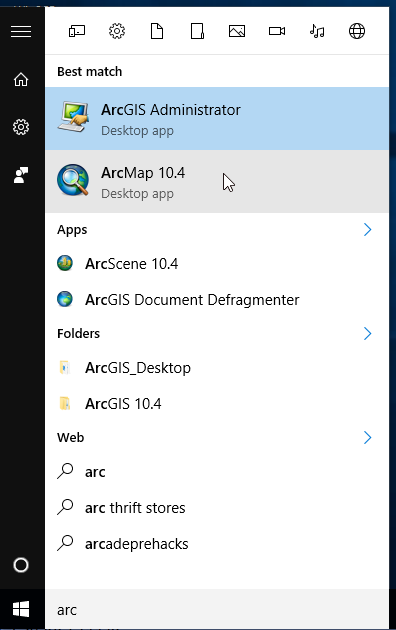 When your .prvc file is properly showing in the browse window, click Next. 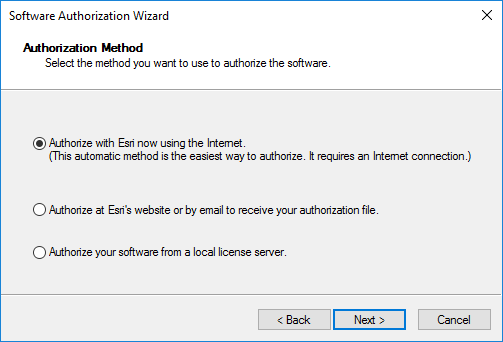 Authorize with Esri now, assuming you are connected to the Internet. 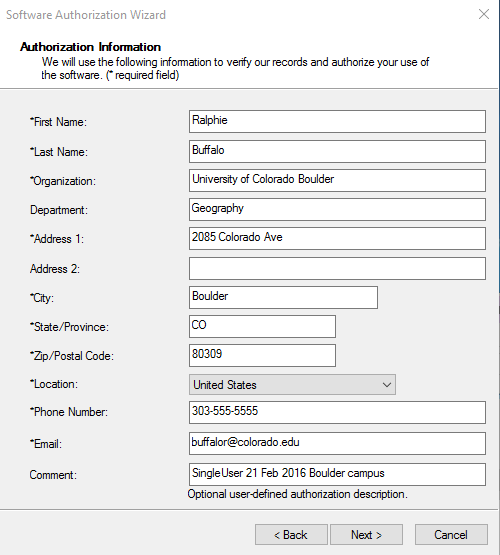 Complete the required fields as needed and click Next. Make appropriate selections, then click Next. 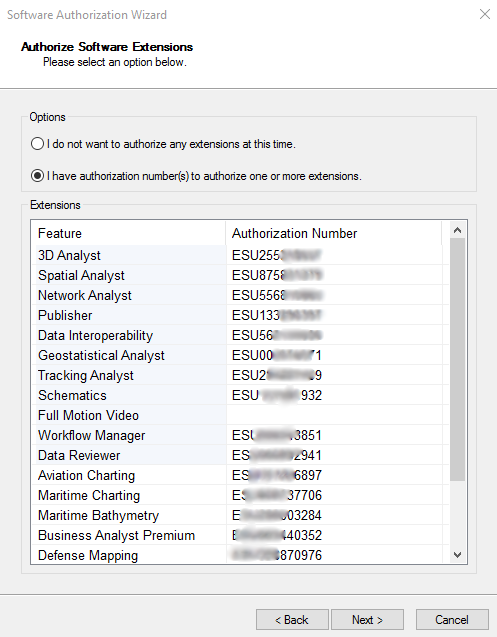 The Authorization Numbers are taken from that PRVC file; do not change them, and click Next. 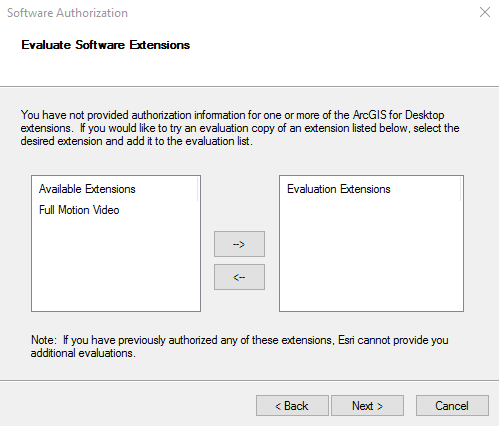 Authorize the extenstions, and click Next. 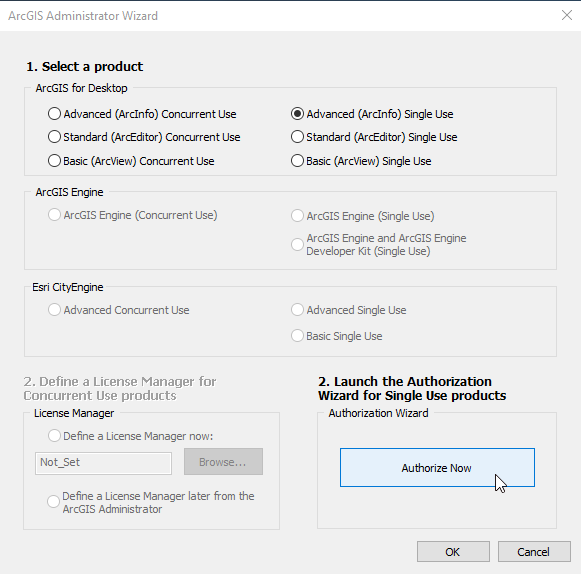 If authorization fails, Cancel and try again. Otherwise, click Finish. 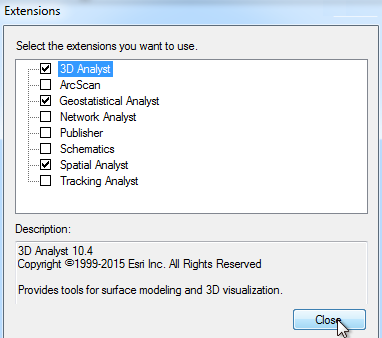 Now you should find ArcMap among your apps. Open and run it. 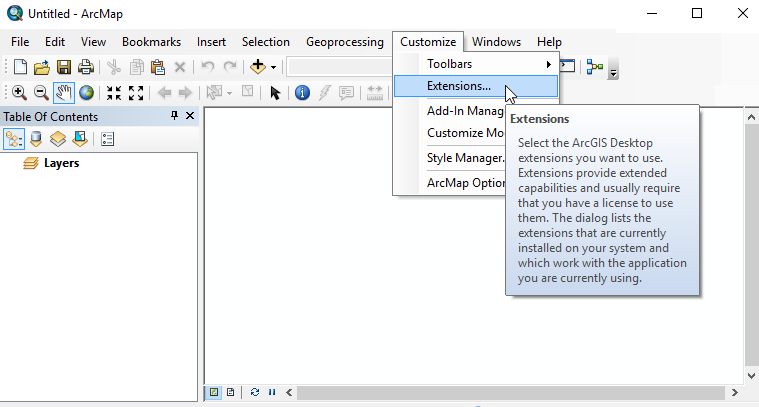 From the Customize menu choose Extensions. Check off the extensions you might want in the future and then Close. 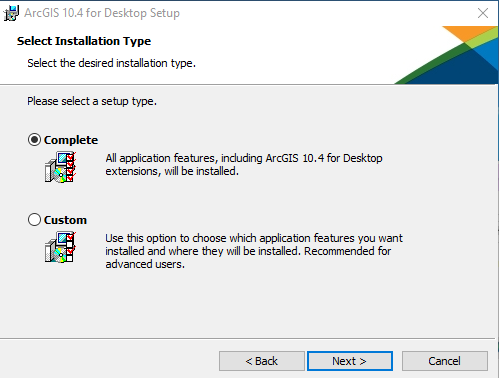 You are now ready to use the ArcGIS Desktop apps.